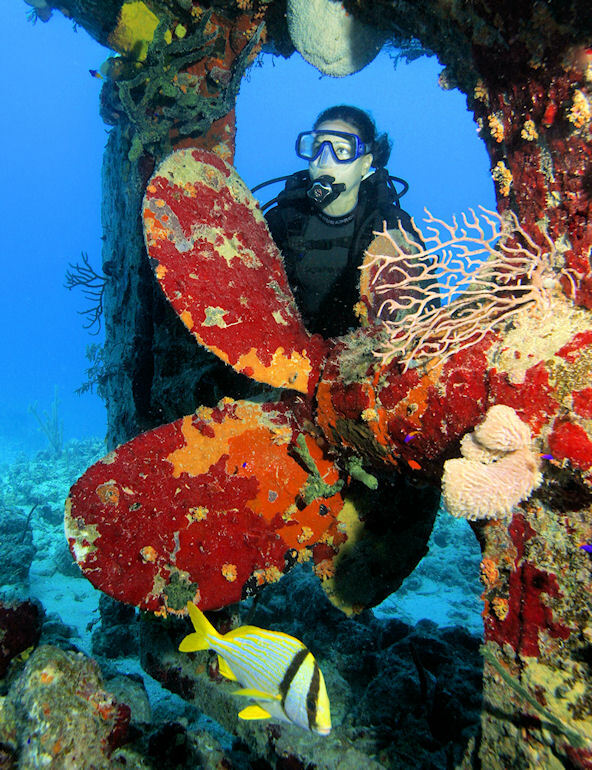 Certified SCUBA divers can explore the walls, reefs, and wrecks of New Providence Island with the "world's most popular dive resort" - Stuart Cove's. Your first dive is along one of our many beautiful walls beginning between 40 and 60 feet and dropping 6,000 feet into the Tongue of the Ocean. Your divemaster will lead the dive to 80 feet for 30 minutes although we are flexible for those with companions or buddies preferring to stay shallow. Each site along the wall is different and unique in its own way. The wall is perfect for both new and advanced divers. Your second dive is either a shallow reef, movie site or one of 12 wrecks. There are many beautiful reefs each with different coral formations and fish life. You may explore a 100 foot freighter, the famous James Bond wreck, or the Cessna used in the filming of JAWS.